Michael Young has worked with children and families in different capacities for over a decade. After graduating with his B.A. in psychology at San Jose State University he went on to work with Children with Autism and their families as an Applied Behavioral Analyst (ABA therapist) for an organization in the Bay Area. Michael Young is preparing to complete his doctoral degree in Clinical Psychology from CSPP Alliant International University here in Fresno, CA. During his graduate training at Alliant International University he gained experience working with children in multiple settings. He provided treatment for children and families in an outpatient and inpatient setting and gained experience in Parent Child Interaction Therapy (PCIT) through a local agency. 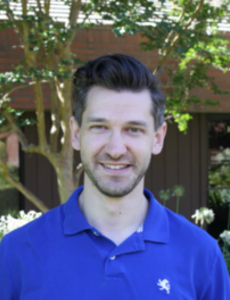 Michael has received training in play therapy, child and adolescent group therapy, and psychological assessment with children dealing with severe emotional disturbance, trauma, ADHD, autism spectrum symptoms, and specific learning disabilities. Michael provides psychological services at the Sullivan Center under the supervision of Jason Christopherson, Psy.D.